Highways and Railways serve as lifelines of any developed or developing country. To build and to construct roads, highways and railways, Expanded Clay Aggregate (ECA) or Lightweight Expanded Clay Aggregate (LECA) is being used as a light fill material to reduce subgrade settlement and to improve stability of structure and the surrounding area. 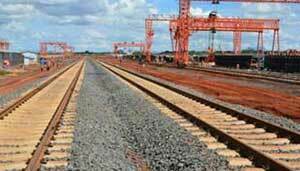 Expanded Clay Aggregate (ECA) or Lightweight Expanded Clay Aggregate (LECA) is also used for the purpose of development of pedestrian and bicycle tracks, rail yards and railway platforms. Expanded Clay Aggregate (ECA) or Lightweight Expanded Clay Aggregate (LECA) is applied to construct or to repair settlement defects, to increase levelling and to improve bearing capacity on highways and railways including metro or tubes.